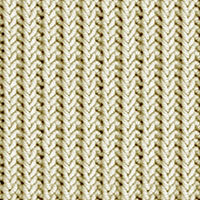 Cast on an odd number of stitches. 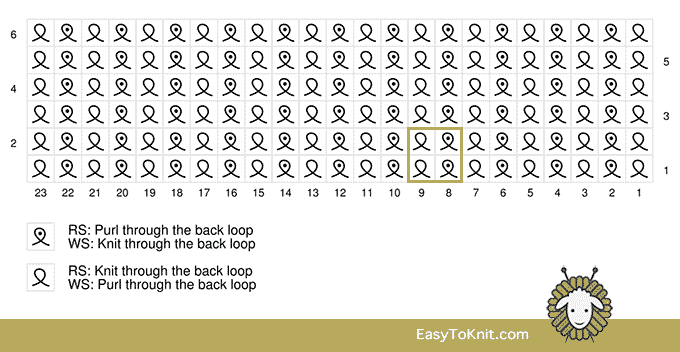 Row 1: *Knit 1 through the back loop, purl 1 through the back loop; repeat from * to last st, knit 1 through the back loop. 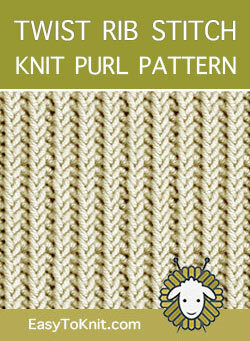 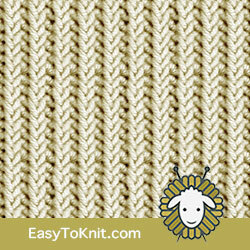 Row 2: *Purl 1 through back loop, knit 1 through the back loop; repeat from * to last st, purl 1 through back loop.